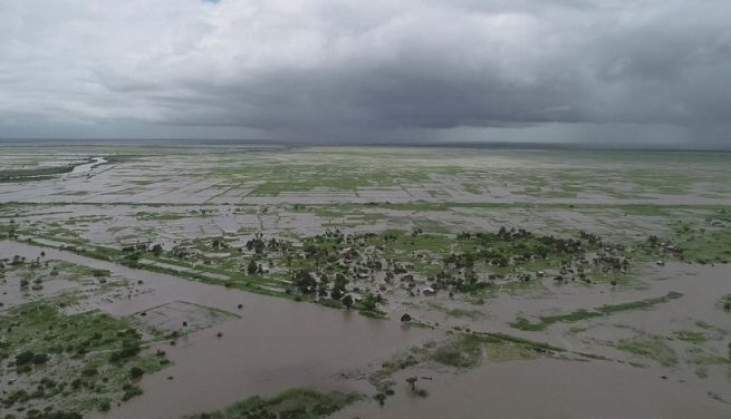 The death toll from cyclone Idai continues to rise as southern African countries struggle to deal with the devastating aftermath of the torrential downpours. The powerful storm has killed at least 64 people in Zimbabwe in recent days, government officials say, while in neighbouring Mozambique the death toll has jumped to 48. Idai made landfall in Mozambique on Thursday evening before proceeding to Zimbabwe and Malawi, causing flash floods, wrecking infrastructure and leaving communities without electricity. More than a million people have been affected, including tens of thousands who have been displaced, according to the International Federation of Red Cross and Red Crescent Societies. In Zimbabwe's Eastern Highlands, the heavy rains had died out by Sunday - but only after causing widespread destruction. In Chipinge, an eastern town some 450km southeast of the capital, Harare, transport links were cut off after a road was damaged due to water pressure. A bus carrying passengers bound for Harare was stuck in a mush of soft tar and mud. A few small cars managed to bypass the sludge when volunteers and soldiers laid down a makeshift path made of wooden planks. Transport engineers told Al Jazeera that the works to repair the damaged road could take up to a day, leaving locals trying to leave the flooded town straned. Gladys Nyandoro, a 58-year-old Chipinge resident whose home had been flooded, said she would seek alternative transport to continue her journey with her son to a temporary shelter in Harare. "I could only leave with a few clothes, but my house is full of water. I have never seen so much rain since we moved back here," she said of her husband's communal home. "I just want to go back to Harare; this area is too much for me." Anesu Chitepo, a 22-year-old shopkeeper, said his grocery store had been affected by erratic power outages caused by the heavy rains. "We can't be happy to think this rain is a blessing, when everything it touches is destroyed," he said. "This will only bring us more trouble, than the real water we wanted." Zimbabwe's government has declared the torrential storm a disaster and dispatched members of the military and national youth service to help evacuate stranded villagers. Meanwhile, the country's Civil Protection Unit has been using helicopters to gain access to the remote town of Chimanimani, on the northeastern border with Mozambique. Local aid groups are yet access the area where dozens are thought to be missing and hundreds more are in urgent need of humanitarian aid. According to Joshua Sacco, a local member of Parliament, all four bridges leading to the mountainous town have been damaged. "We have people stranded in this area, but the access roads to this area have landslides," he said. "There is nothing, we don't have any road accessible," added Sacco. "The best form of help we need is an excavator or a grader to clear the roads." The cyclone has brought torrential rains and winds thought to be worst in decades since Cyclone Eline struck the region in 2000.